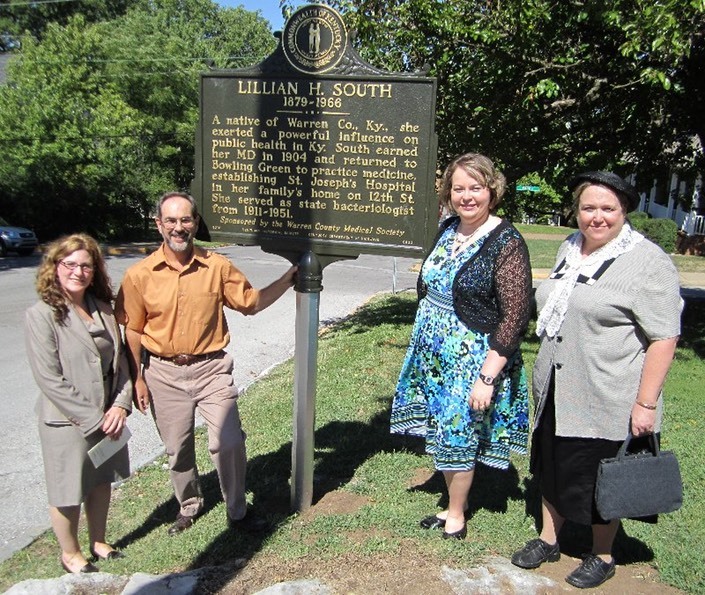 A native of Warren County, KY, Lillian South exerted a powerful influence on Kentucky’s public health. She was born the daughter of a doctor, JF South and his wife Martha (nee Moore). 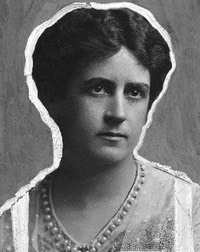 Lillian went to public school in Bowling Green and graduated with a BA degree from Potter College (at the present location of WKU) when she was only 18 years old. She then traveled to Patterson, NJ, where she studied for two years for her RN degree in nursing. Having “aced” every course in nursing school, she decided to pursue a doctoral degree in medicine. After 5 years, she earned her MD degree from the Women’s Medical College of Pennsylvania (1904). She returned to practice in Bowling Green, joining the successful practice of Dr J N McCormack and Dr A T McCormack. Two years later the three doctors established St Joseph Hospital in the South family home on (what is now) 12th Avenue. The home was re-built to accommodate 42 beds. Just a few years later, in 1910, Dr South was appointed as state bacteriologist at the State Board of Health in Louisville, a position that she held for 40 years. In this capacity, she gained national recognition for her many years of research on hookworms, rabies, and leprosy in Kentucky. She is credited for virtually eradicating the once widely prevalent hookworm from the state, through public health campaigns to exterminate houseflies which are the vector. She also led the movement to ban the use of the public drinking cup. Dr South was also very active in state and national organizations, and was the first woman to be elected vice president of the AMA (1914). She was an active member of the American Association for the Advancement of Science, the Kentucky Medical Association, the Jefferson County Medical Society, and the Tri-County Medical Society. [Note: the Warren County Medical Society was formerly called the Tri-County Medical Society]. She was president of the Association of Southern Medical Women, and councilor of the American Association of Medical Women. Dr South traveled extensively to learn as much as she could about the science of medicine. 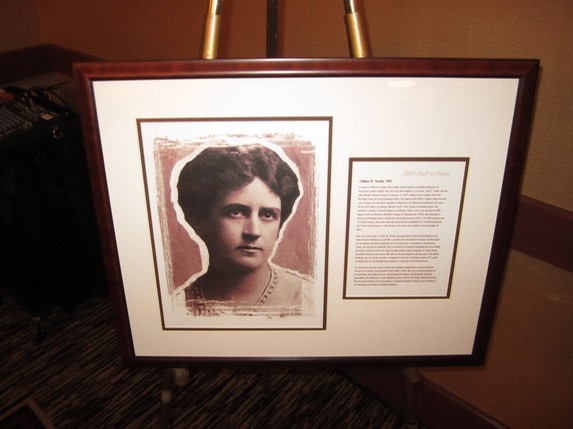 She studied at Johns Hopkins, Mayo Clinic, the Pasteur Lab in Paris, as well as the Madame Curie Radium Institute. She was a delegate to the International Hygiene Congress in Dresden, Germany, and to the Public Health Division of the League of Nations in Geneva, Switz. 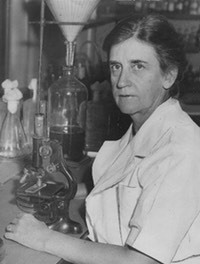 In 1922 she founded the first lab technician training program in the USA. The program was a great success and she soon had former students working in every state of the union and many foreign countries. In 1925, a Louisville magazine (The Club Woman) described Lillian South as “a fine physician, one of the foremost bacteriologists in the country, and at the same time is a winsome, attractive woman”. The positive PR may have helped her social life, as she was married the following year (July 8, 1926) to Judge HH Tye of Williamsburg, KY.
As early as the 1930’s, she was a champion of the use of vaccines. She is responsible for over 12 million doses of thyphoid vaccine given during her career. She saved countless lives by vaccinating large numbers of survivors of the Great Flood of 1937. It was said she worked long hours in an unheated building during the flood to assure that vaccines were given to as many as physically possible. Dr South was surely hard-working and dedicated. She was proud of the fact that the Kentucky Board of Health provided service 24/7 for her entire career, never closing for a single hour, and she never allowed a report to a referring physician to be delayed more than 24 hours. Yet she was also a woman of many talents, belonging to many social organizations, such as the Outdoor Art League, Woman’s Club, Country Club and several literary clubs. Dr Jackie Granese, Dr Rick Voakes, and Dr Juli McCay are joined by Dr Lillian South (portrayed by Eileen Starr) at the dedication of the historical marker, sponsored by the Warren County Medical Society. In 2011, Dr South was honored as an inductee into the Kentucky Public Health Hall of Fame.